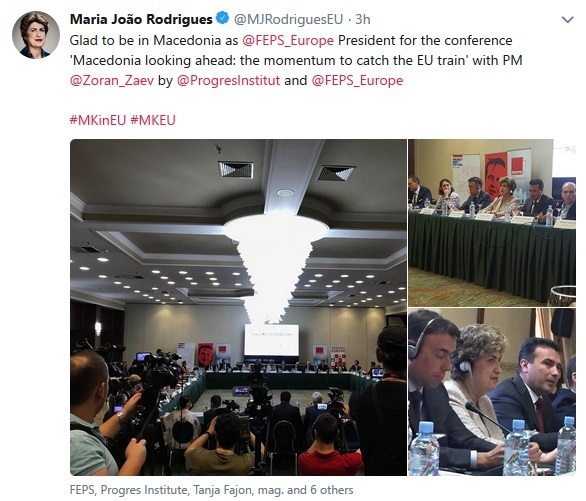 The conference ‘Macedonia looking ahead: the momentum to catch the EU train‘ brought together progressive parties, political foundations, civil society, academia and other stakeholders from EU, Western Balkans countries and FYROM, in order to discuss and develop strategies for the European and Euro-Atlantic integration and sustainable democratisation of Macedonia and the countries of South East Europe. 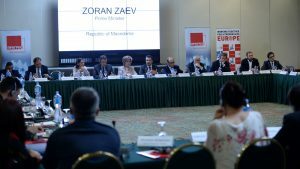 Macedonian Prime Minister Zoran Zaev was one of the keynote speakers. 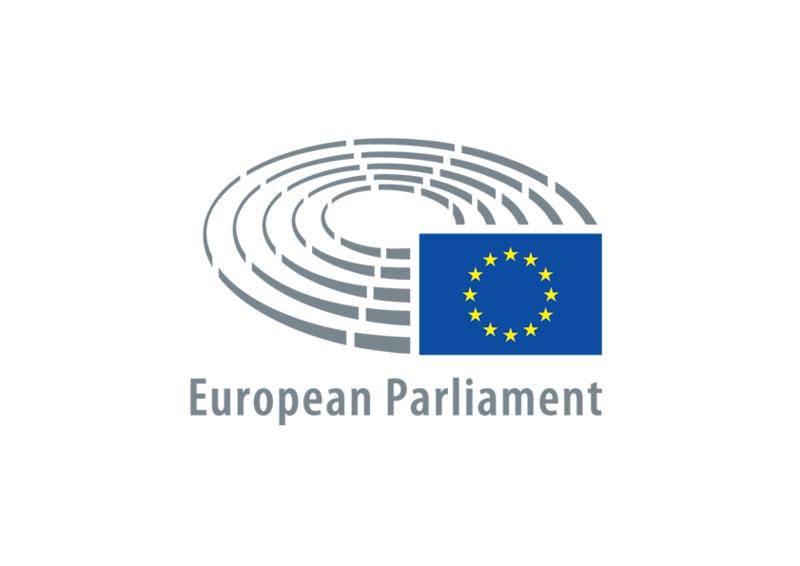 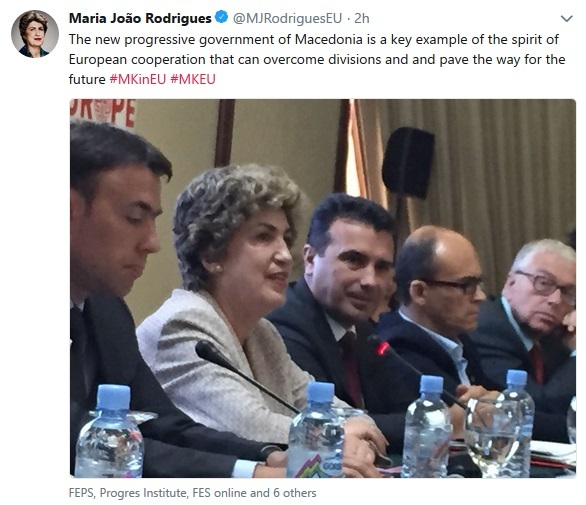 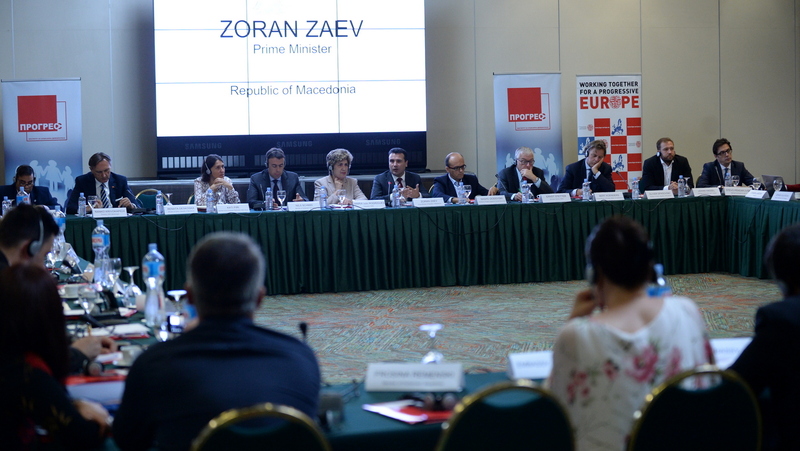 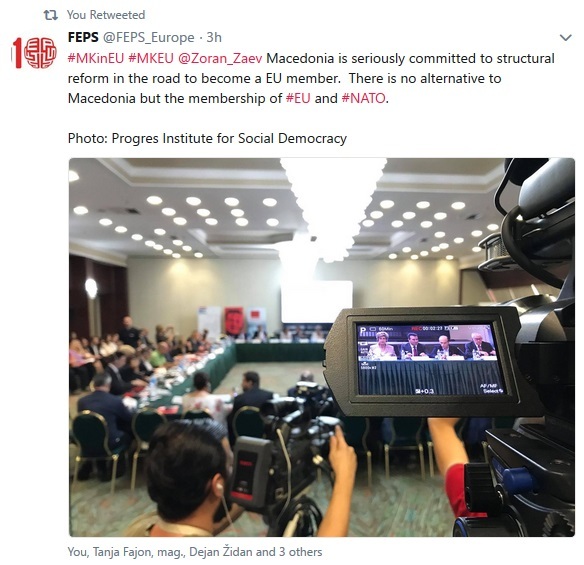 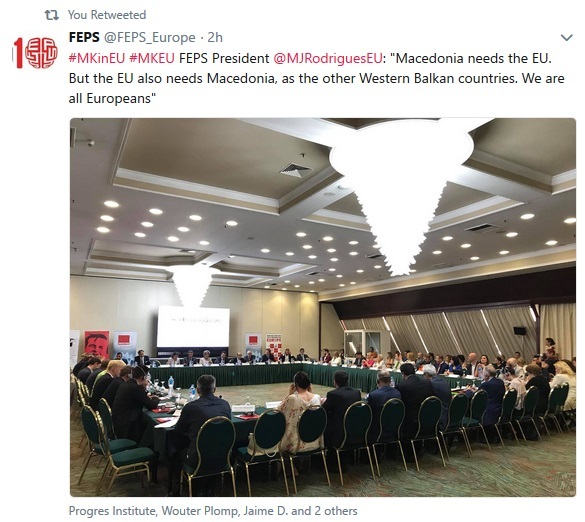 The conference was organised by the Foundation for European Progressive Studies in cooperation with the Progress Institute for Social Democracy, the Olof Palme International Center, the Westmnister Foundation for Labour, the Friedrich-Ebert-Stiftung Skopje Office and the European Forum of Social Democracy.